Petition for Lawrence Mocha To Be Honored & Remembered With Dignity! This is a very simple request. 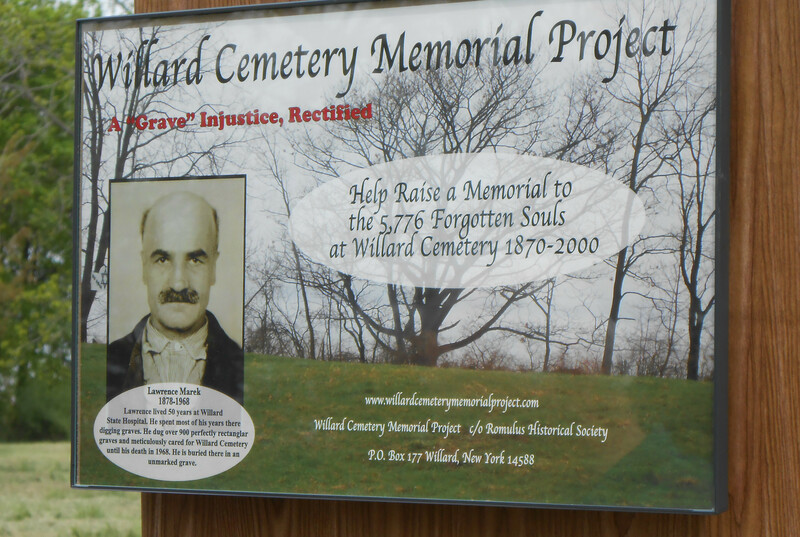 Please click the link below and sign this petition that will allow the Willard Cemetery Memorial Project to honor and remember with dignity former patient and resident grave digger, Lawrence Mocha, with a plaque at the Willard State Hospital Cemetery. Thank You! CHANGE.ORG-PETITION TO ALLOW MEMORIAL PLAQUE FOR LAWRENCE MOCHA. This entry was posted in Anonymous Graves, Related Links & Current News, Willard Blog and tagged Anonymous Graves, Lawrence Mocha, Willard State Hospital Cemetery by lsstuhler. Bookmark the permalink. No, they used fictitious surnames in the book. His name is Lawrence Mocha.